Integrate with Avalara. Automate your Taxes. Save Time & Manual Effort. Achieve compliance with sales tax requirements through automated, cloud-based solutions that are fast, accurate, and easy to use. Generate tax payable for each tax jurisdiction where you collect sales tax. Get printable reports for filing tax returns, both manually as well as online, in no time. 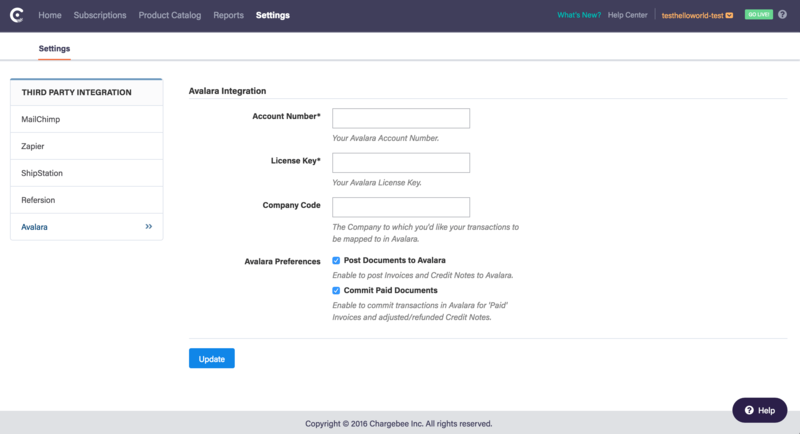 With accurate tax rates and compliant invoices, Avalara’s integration with Chargebee ensures your business meets the various tax requirements. Easy and reliable sales tax calculation across 12K jurisdictions and product taxability rules with reduced efforts on tax filing & tax liabilities. For merchants with businesses across the North American region, using the most accurate and up-to-date, U.S. Postal Service-approved address data available. Do I need to have a paid account in Avalara? Yes, a paid account in Avalara is necessary. But you can explore the different options and test your integration in a free sandbox before making any decision. Avalara’s pricing structure is based on annual transaction usage. We have annual transaction plans that start as low as $9 per month so merchants of all sizes can benefit from sales tax automation. What are the benefits for Chargebee customers that use Avalara? Determining the correct sales tax rates for digital goods can be difficult. 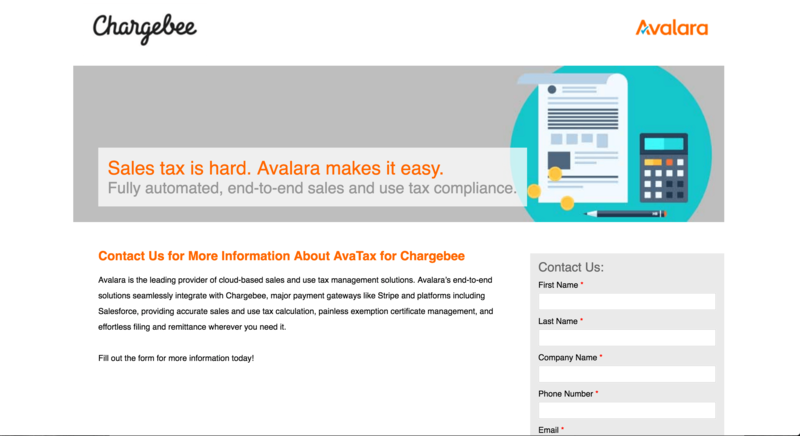 Chargebee merchants that use Avalara have peace of mind that they’re doing sales tax right, which allows them to focus on more important business goals. What are all the countries supported by Chargebee - Avalara integration? At the moment, the Chargebee - Avalara integration is supported only in USA and Canada. Which address (Shipping or Billing Address) of a customer will be used to determine tax? Typically, Chargebee will consider a customer’s shipping address to calculate tax. 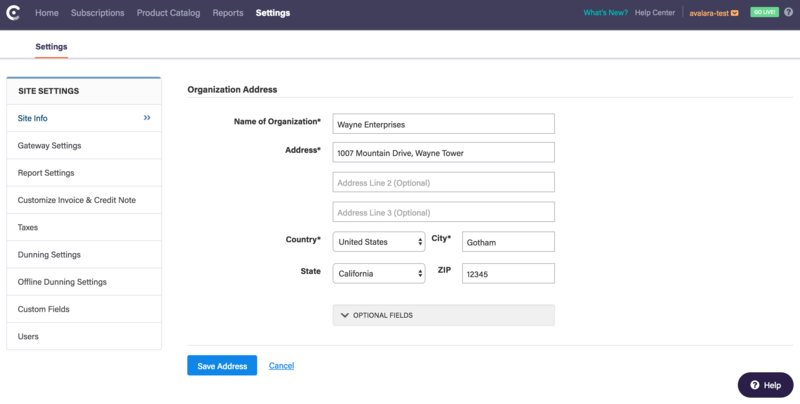 In case a shipping address is unavailable, Chargebee would use the billing address to determine the tax. With the integration, will the tax rates be applied to existing subscriptions as well? The existing subscriptions will not witness changes in the tax rates. Before migrating to Avalara, Chargebee will validate the addresses of the current customers, and the correct rate will be applied during subscription renewal. Can I handle product specific tax rates with Avalara? Yes, you can handle product specific tax rates with Avalara, with tax codes that determine the tax rate for each product. Apart from this, taxable and non-taxable products will also be automatically differentiated using tax codes. Will Avalara help in tax filing procedure? Yes, Avalara helps with tax filing procedure as well. If you’re planning to use Avalara for tax filing, all invoices and credit notes can be posted to Avalara as soon as they are generated by enabling the Post Document to Avalara option.